I designed this card for my January Workshop. If you live in the Orange County area and would like to attend my monthly workshops, please contact me and let me know you'd like to be on my list. We have a lot of fun making cards each month. Thank you for stopping by today. I hope you are inspired to create! Please let me know you were here by leaving a short comment. As always, if you have any questions, please email me and I will get back to you. 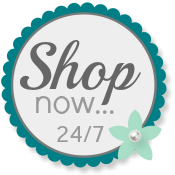 Use my Online Store any time you need our wonderful Stampin' Up! products. WOW!!! this is beautiful. The Gorgeous Grape color is so elegant. That embossing folder is perfect for this card.